If you are planning on retiring in the next year, you need to do more than just call New York Medicare Consulting. There is a lot that needs to be done before you retire, like polishing your golf clubs, having your lawn mower tuned up and installing a stand-up tub. We kid, of course, not everybody needs to polish their golf clubs. The point we are trying to make is you need to be prepared if you want the best possible outcome upon retirement. So this year, instead of making New Year’s resolutions about losing weight and eating better, resolve to consider what needs to be done before you retire. Take a week or two off work and pretend like you are retired. In other words, don’t take time off and go away ion a vacation or visit friends in another state, take time off and sit around the house, with your wife if she will be retiring as well. This will give you an idea of a typical week or so of your retirement. You will want to get a sense of what it will be like and the dynamics of this new lifestyle. It won’t be necessarily bad. For example, you will find out that it’s less busy at the places you like to shop or eat at. You might even decide to take up a new hobby or two to keep yourself busy and active. If you want your wishes followed, you will need to fill out all of the necessary paperwork including wills, power of attorney and other life documents. While you might feel this is something that can wait until you retire, it is a far better idea to swallow the pill and get it over with sooner than later. And not to be morbid, but you just never know when the time will come that you or your family had wished you filled out the paperwork earlier. Getting rid of all of the stuff you don’t need can be a tedious process, but it will free up space in your home. When you take on this task, allow yourself plenty of time to evaluate everything you own and only rid yourself of the stuff you have no longer any use for. Decluttering can also include handing down items to children, grandchildren or other members of the family. If you are already retired, here are a few resolution you should make for the upcoming year. The key to healthy aging is in physical activity. Resolve this year to exercise every day if it is at all possible. You don’t need to hit the gym and bust out the weights, a short, brisk walk will do just fine, And you don’t need to pump iron for two or three hours, just promise yourself you will be active for at least 10 minutes a day. Start exercising every day and soon enough, it becomes a habit. Volunteering is a great way to give back to the community. It is also a great way to stay active and get the exercise you need to maintain good health. Research shows that people who do volunteer work have increased self-confidence, a sense of accomplishment and they feel they have brought fulfillment to their lives. When you are retired, you have plenty of time on your hands and therefore no excuse why you can’t find that old friend you lost contact with all of those years ago. We are betting that if you can’t find an old friend on Facebook or social media that there are people who can help. Make it a goal to reconnect with as many people as possible and keep in touch with them this time. We think you would agree there is nothing quite as special as spending time with the grandchildren. You might see them on special occasions, but make it a habit of seeking them out at any time of the year to catch up. 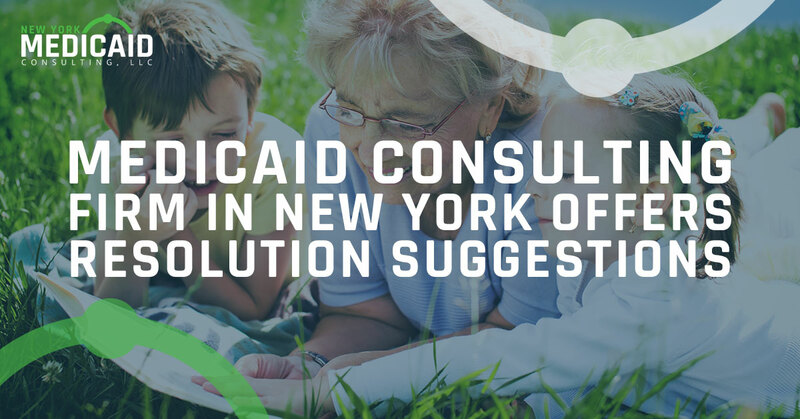 New York Medicaid Consulting LLC is dedicated to providing the highest quality Medicaid planning services. Medicaid is our specialty and all that we do. Give us a call.